As is our habit, the West Coast Procrastinators met for our annual first of January ride and AGM. Marty and I left Geelong in overcast conditions and arrived at Steve’s place (near Colac) to find Andy and Steve raring to go. 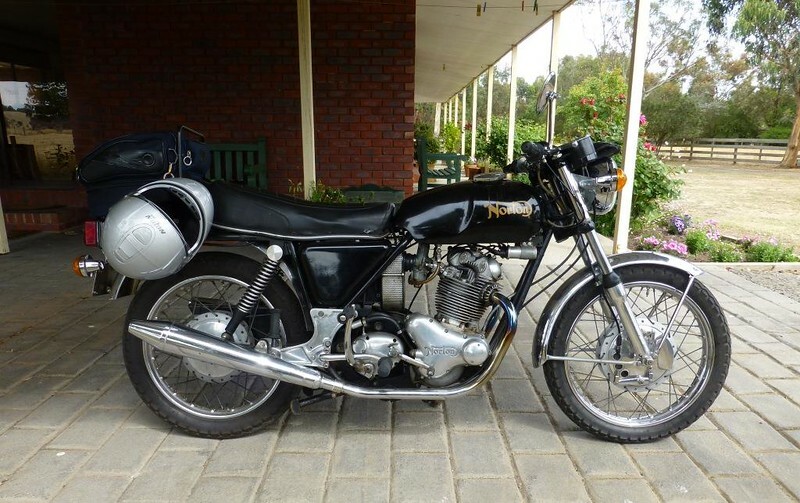 Andy had brought his recently purchased 1973 GT 550 Suzuki along instead of his usual mount, a ’69 Norton Commando. 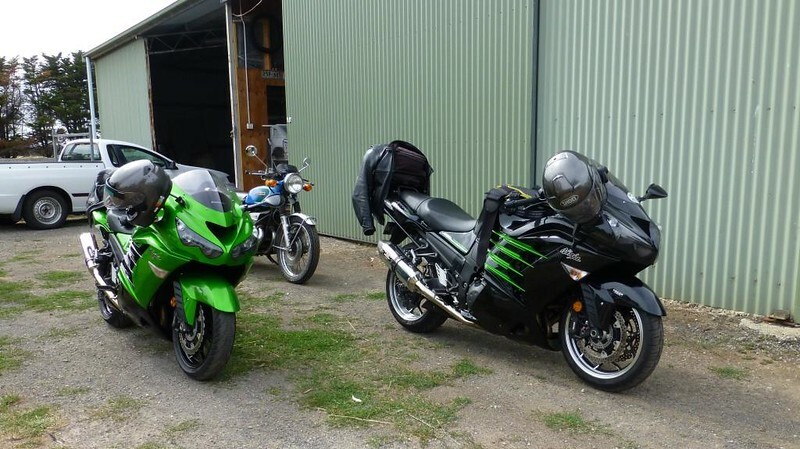 After New Year handshakes, a picture of the motorcycles and some banter we headed off to Timboon, Vic. Unfortunately we were not that many kilometers down the road when Andy’s bike suffered a “failure to proceed”. 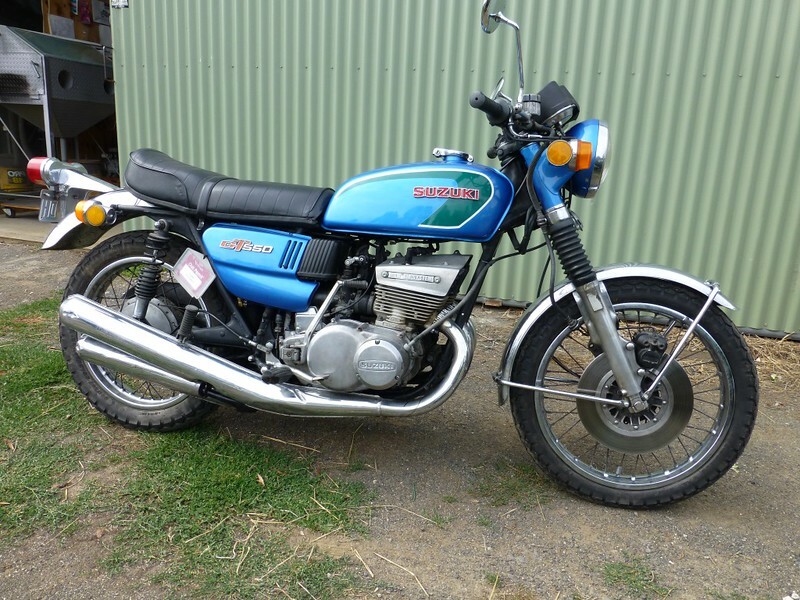 Andy has not restored this bike and it illustrates the potential pitfalls of purchasing an already “restored” bike that has been restored by someone of unknown capability. 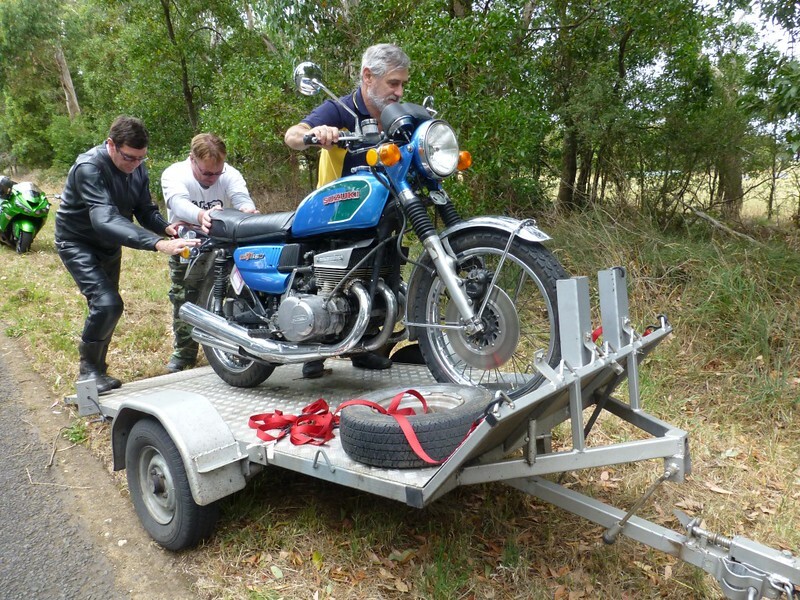 I took Andy back to Steve’s, where Andy had his car and trailer and he was able to load the stricken Suzuki and then continue on for lunch at the Timboon hotel. After a few fleeting showers of rain in the morning the return trip was in sunny conditions. We stuck to a series of back roads and avoided the traffic associated with a public holiday and the general 12 Apostles area. It was another grand ride to start 2015 with for three of the Procrastinators, however, it was a great get together for all four.